What environment do fleas live in? Typically, fleas thrive in high humidity and warm temperatures. This is why southern, coastal states and warm summer months have the most active flea populations. Fleas go through four distinct life cycle stages–egg, larvae, pupae, then adult. Most of the time, flea eggs are laid on a pet’s skin (the pet acts as the “host”). These smooth eggs often fall off of pets and into carpet, bedding, or plush furniture. In the next life cycle stage, larvae, fleas avoid strong light and move deep into carpet fibers or under furniture, grass, branches, leaves, and soil. Flea larvae prefer warm, dark, and moist areas. If the larvae are outdoors, they develop in shady, moist areas. Unlike the larvae, the emerged adult flea is attracted to light and stays at the top of surfaces in order to find a passing host to feed upon. In normal circumstances the adult flea will live up to three weeks and lay up to 500 eggs. However, fleas can easily adapt to famine conditions. Just one blood meal can keep an adult flea alive for two months. Imagine staying alive on less than one meal a month! What happens to fleas in winter? According to Michael Dryden, DVM, fleas cannot survive exposure to temperatures below 30.2 degrees Fahrenheit (or -1 degree Celsius) for more than 5 days in a row. We generally recommend that it takes two hard freezes to kill fleas outdoors (although we’d guess the polar vortex is killing any outdoor fleas). However, fleas are now showing up in places like Canada, which generally has harsh winters. This means fleas are finding ways to survive–likely by attaching themselves to warm-bodied hosts like you or your pets. In cold weather, people and animals generally congregate inside, so you may notice more fleas indoors. Once fleas are inside, they can survive indefinitely as long as they have a host to feed on. Unlike outdoor fleas, indoor fleas won’t ever die unless they’re treated. Wondercide products use cedar oil to kill the flea life cycle. Wondercide products also repel future bugs, without exposing you or your family to harmful chemicals. We recommend spraying (for prevention) or using a compression sprayer (to treat active infestations) with Flea & Tick Pets + Home. To prevent or treat an indoor flea population, treat your entire house with Flea & Tick Pets + Home, including flooring, furniture, bedding, and pet bedding. Spraying all of these areas allows you to treat and kill the flea life cycle. To treat severe or ongoing infestations, we suggest using Flea & Tick Pets + Home with a compression sprayer. If your pet is suffering from fleas, use Flea & Tick Pets + Home, a natural flea treatment for pets, in addition to treating your home with the same spray. Lightly mist your pet with Flea & Tick Pets + Home once every two to three days, or as needed if you see fleas. What should I do when warm weather arrives? 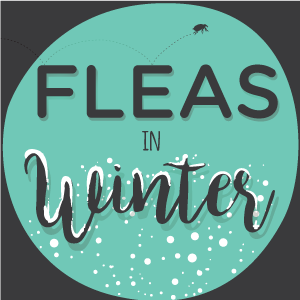 If you’re suffering from fleas during winter months, and you live in a seasonal climate, aim to control and get rid of your indoor flea population during the winter months. Then, when spring arrives, your pet and your indoor spaces will be flea-free and you can treat outdoor areas as a preventative measure. At the first sign of spring, spray your lawn, garden, and any outdoor areas where your pet plays. We recommend an all-natural, water-based spray like Flea & Tick Yard + Garden. Spray outdoor areas with every 30 to 45 days, in order to kill and repel pests. Fleas and other pests originate outside, so treating outdoor areas will attack pests at the source and will prevent you or your pet from carrying fleas into your indoor living space. Please visit http://www.wondercide.com to purchase our natural products. Our bestseller, Flea & Tick Control for Pets + Home comes in various sizes but is most popular in the 16oz sprayer, which costs $24.99 + shipping. If you have any other questions, please contact us at service@wondercide.com or 877-896-7426. I live in Ottawa and it’s been very cold recently and somehow my chihuahua got fleas. We live with two other dogs, a rottweiler and a boxer mix, those two dogs are outside running in the snowy field slot but my chihuahua is a prissy girl and doesn’t like to do that. Lately she has been around the other two dogs more because she was in heat. But how on earth can a dog get fleas in the winter? She got it pretty bad too. Thank you for your comment! Fleas are such pesky little critters, (as I’m sure you know! ), and they are indeed able to live through the winter. They can still be in the environment but usually a little less active in the colder months. The product I would recommend is our Flea & Tick Control for Pets + Home; it’s non-toxic, made of human grade ingredients, and even safe if ingested. However, we do not deliver to Canada at this time, unfortunately. I am sorry for any inconvenience. Next time you’re stateside, have a look at our store locator and hopefully there’s somewhere nearby for you to try some Wondercide on your pups. I hope this helps a little! If you have any other questions for us, feel free to reach out. Have a wonderful week! My one cat came in and was scratching it’s 22 degrees here to my surprise I pulled a live flea off of her. I will be checking into your natural products. I have always put flea medicine on my dog from spring to November depending on the weather. I have a husky/malimute and it’s hard to see fleas on her. I live in NY and it’s been a fairly warm winter. She has been scratching so much lately. I thought that fleas die in the winter? I’m going to put flea medicine on her just in case. But can fleas really live in the cold weather? Thank you for reaching out! We’re sorry to hear your pup has been scratching lately! Fleas typically go dormant in the colder months, but they are still living & breathing- and can still jump onto pet’s fur when they get the opportunity. Many of our customers spray Flea & Tick Control for Pets + Home year round as preventative. Let us know if you have any additional questions; we’re always glad to lend a paw. I’ve been using the Products for Two Years. I live in the Country and we have Ticks , Fleas and due to a Stream we have heavy Mosquitos too in the warm months. I love your products. No Toxic Poisons externally or internal Heart worm preventatives for my precious babies! Thank you for inventing these products. Thank you so much for your wonderful products. I no longer fear treating/preventing my fur babies from from fleas and ticks with Wondercide. I have used these products for about a year and a half. Absolutely love them and it took care of my flea issue. I comb my pets daily, spray them and the area with wondercide every week. Highly recommend these products! Thank you for reaching out regarding those fleas in the outdoor storage area. We’re sorry you had to go through that awful experience! Fleas typically become dormant in the Winter months, but they still exist and can hop onto people or pets when they get a chance. We would recommend treating the area with Flea & Tick Control for Pets + Home. It’s completely non-toxic, safe for all surfaces including your skin and the indoor environment for that shed. We would recommend treating the area several times to ensure all eggs + larvae are reached and eliminated. Hope this helps! Let us know if you have any other questions for us; we’re glad to lend a paw. Hello, Natasha. Thank you for reaching out! We are working diligently to have our products available to our Canadian Wonderfans. We understand the need for safe natural products and are hoping we can register our products in Canada sometime soon, though we don’t know the exact date when this will happen. We will update our social media pages and alert our customers via our email newsletter if anything changes. Thanks again for your interest in Wondercide. Cheers! Thanks for your question, Teresa. Our products are made from 100% naturally derived, human-grade ingredients and are safe for dogs and cats. Customers have shared with us for years that our products have been used safely alongside other treatments without issue, however because we have not done testing specifically with our product being used simultaneously with other preventative medications, we cannot guarantee how they will interact. Or label recommends spraying a small test spot on the back of the neck before a full application, to test for any sensitivities or allergies. In cases like this, we would definitely recommend following this protocol, even if you’ve previously tested and use our products in the past. We also always recommend deferring to the label directions for any products used on your animals. This includes our products, as well as any that may have already been used on your pet. I hope this clarifies things, but please let us know if you have any other questions. Thank you again for your question. I don’t have pets and it’s the middle of winter why are fleas coming? Could they could from someone with pets? Fleas are very persistent. Even if you don’t have pets, fleas can still find their way into your home on your clothing, by bringing outdoor plants or furniture insides for the winter, etc. Wildlife, strays, or even neighboring pets that have not been properly treated can bring fleas into your yard or surrounding areas. If you’re seeing fleas in your home but don’t have any animals, the best approach is a three-step treatment plan. Starting with a good Personal Insect Repellent when visiting areas where fleas are common, followed by a thorough treatment of your home and yard. We’d love to offer more information about how to treat for fleas with Wondercide, and welcome you to reach back out if you have any questions. We’re here for you, and want you to enjoy being flea-free! I have 3 dogs and a cat have treated them in the winter months in Michigan and they still have fleas..i am going crazy. I think i need to learn more about this product. Is it safe to use with the animals in the home??? Help..the fleas are biting us allllllll. We hear you on how bad fleas are, and we certainly have products that can eliminate these pests. Our Flea & Tick for Pets+Home spray will kill fleas by-contact, and repel them. Best of all, this product is made from 100% human-grade ingredients, and can safely be sprayed on your pets directly, as well as anywhere in your home. If you’ve already been treating fleas on your pets, but are still seeing bites, then treating the home is the next step. Spraying down carpets, bedding, furniture, etc will ensure and adult fleas, their eggs, and their larvae will be elimiated! We’d love to offer more detailed treatment information, and welcome you to reach out directly at hello@wondercide.com, or at 877-896-7426. We’re here for you! I haven been dealing with some thing all over me. I live in NC & we have had warm temps along with freezing weather. I have a dog, cat, & parrot. The dog & cat has been on some type of flea/ Tick stuff. I don’t care for chemical stuff. I like the natural way. I need to know what kind of temperature fleas in the house can live. Cause the bugs on me seem like fleas but we just had snow. How can they survive even when my bedroom is kept cold. Fleas are hardy pests, and can survive in a wide range of temperatures. Even if its freezing outside, if there are already fleas in the home they can easily thrive in moderate or cooler temperatures. The good news is, Wondercide can help you and your pets find relief from these pests! Our Flea & Tick for Pets+Home spray kills fleas by-contact and repels. Its safe enough to spray directly on your dog and cat, in your home, and on yourself. We’re here for you, and welcome you to reach back out with any questions. Hi, I have all hard wood floors and I was wondering if just a light mist will kill the fleas and eggs? Also I was wondering how I should apply this to the base boards where the eggs probably are? Because if I have to get on my hands and knees to try to aim the spray at the crack throughout the whole house, then I better get some knee pads. Plus any tips would be very much appreciated, I’m kinda at my wits end. The key to success against fleas is thoroughness, and consistency. A light but thorough misting (you don’t have to saturate) with our Flea & Tick for Pets + Home spray is all that’s needed to eliminate fleas and their eggs + larva, though we do recommend covering all flooring and baseboards. Applicators like a compression sprayer can definitely help the job go quicker and make application easier so you don’t have spray with the smaller spray bottle. If we can elaborate on anything here, or provide you with more information, please let us know. We’re here for you! Hello, I’m having a flea problem here in NC we never had a problem but this year not so lucky. I tried to see if I could try a sample before buying a large amount. But the site didn’t work. Can you tell me what I’m doing wrong. 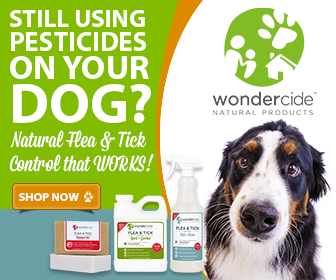 We’re excited for you to try Wondercide, and are confident you’ll find success against fleas. Our website was under construction for a couple of days last week, but we’re happy to report its back up and running! We’re also happy to place orders over the phone, and welcome you to give us a call at 877-896-7426 (M-F 9am-5pm CST). We absolutely have products that will help and would love to share more info on how to successfully eliminate fleas with Wondercide. Our products work differently from most chemical treatments, because they provide a by-contact kill to adult fleas and their eggs/larvae. They’re made from natural, human food-grade ingredients and are safe for pets, people, and the environment. -Apply a light but thorough misting to your dog daily and each time before going into untreated areas. -Vacuum carpeted areas and rugs before treatment to help bring flea eggs and larvae up to the surface. Maintain your regular vacuuming schedule afterwards. -Using a hose-end sprayer, do two initial treatments, 7-10 days apart. -Stick to the stronger 8oz dilution for maximum results. -Fleas thrive in moist, warm, shady areas. Concentrate more product under trees and bushes, remembering to fully saturate the ground for best results. -To prevent them from reestablishing, reapply every 30-45 days. Please reach out to us if you have any further questions. We’re here for you. Also, I’ve had some professionals say vacuum everyday and others say don’t vacuum or mop. I also have flea traps in every room and after 2 1/2 months of using them, there’s only a minimal amount of fleas in them. Don’t have pets, but I have fleas in the home now. I think there are some stray cats 🐈 and dogs that are coming in my yard and going under my house 🏡 at night, because I can hear animal noises under the house when I’m in the shower 🚿 or when I’m sitting in my den watching t.v at night. I also have a neighbor to the right of me with a German Shepherd and Collie mix, but they are fenced in. But my neighbors to the left of me use to have two pitbulls that were not fenced in, they were always chained to their dog 🐕 house. Can you tell me what can I do to get rid of this problem. Wondercide’s Flea & Tick for Pets+Home spray is extremely effective at killing and controlling fleas, and we’re confident that you can find success with this product. Fleas are a pervasive pest, so treating your home and yard thoroughly and at the same time is vital to ensure they are completely eliminated. ● Use Flea & Tick for Yard + Garden to treat all yard/outdoor spaces, including decks and patios. Don’t forget the bushes, shrubs, trees and gardens. The more surface area you cover, the more effective the product will be. ● Do two full treatments within 7-10 days of each other. ● After the two initial treatments, continue to spray every 30-45 days to maintain. ● Re-apply after a heavy rain. ● Use the Flea & Tick for Pets+Home spray. ● Thoroughly vacuum before you treat to pull the eggs and larvae to the top of rugs, furniture and pet beds. ● Treat the entire home, including flooring, furniture, closets and beds. ● Fleas often prefer warm, dark and damp areas. Treat under sinks, in bathrooms, in garages and in laundry areas. We’re here for you and would love to partner to develop a tailored treatment to eliminate those fleas!